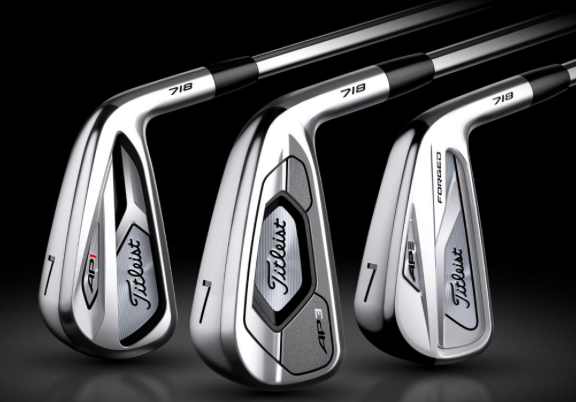 At Don Parsons Golf Instruction, we offer the most complete Titleist Fitting System in the area. After we help you understand what parts of your equipment need improvement, we will deliver a thorough and in-depth club fitting experience to ensure you play your best golf. The Titleist Speed Project has resulted in Titleist's fastest driver and fairways ever! For a limited time, you'll be able to book a free fitting, so click below to get started! The new Spin Milled 7 wedges establish a new performance standard by improving in the three key areas of wedge play: precise distance gapping, shot versatility and maximum spin. The superior technology including the Active Recoil Channel produces higher ball speeds and launch conditions for softer landing approach shots from a variety of longer distances. DO YOU JUST NEED ALL NEW CLUBS? Let's face it, the game of golf is hard enough. Don't let out dated technology and poorly fit equipment make it even harder. Schedule a complete fitting and watch your scores drop. The blend of forgiveness and performance in each of the 718 iron models allow for the perfect fit for all golfers. The proper head and shaft combo will produce more accurate approaches. Scotty Cameron putters feature sleek, performance oriented models with tour proven milling and craftsmanship to ensure the finest results. It's all part of making more putts and shooting lower scores.